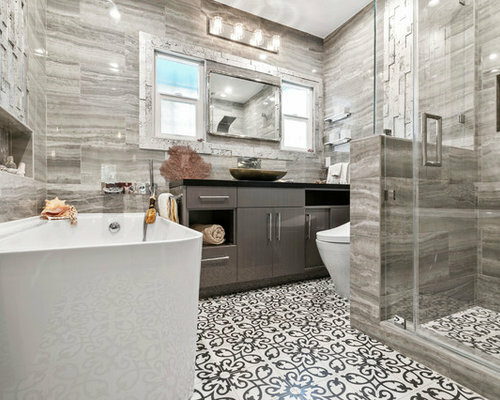 We're excited to showcase this incredible master bathroom transformation in the Atwater Village area of Los Angeles. 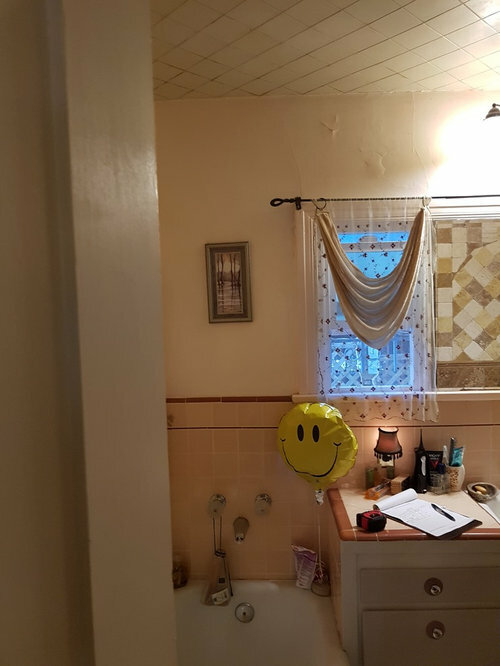 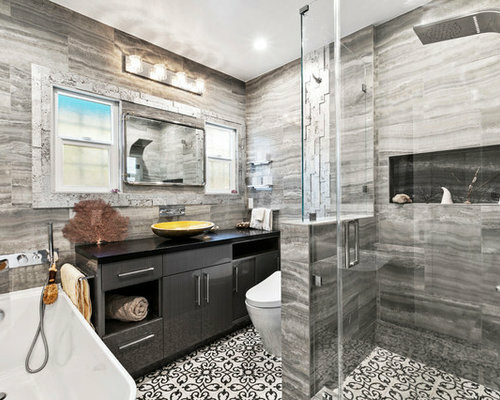 Once outdated and stuffed, the bathroom was completely gutted and transformed to create an airy, modern and welcoming space without changing the square footage of the area. 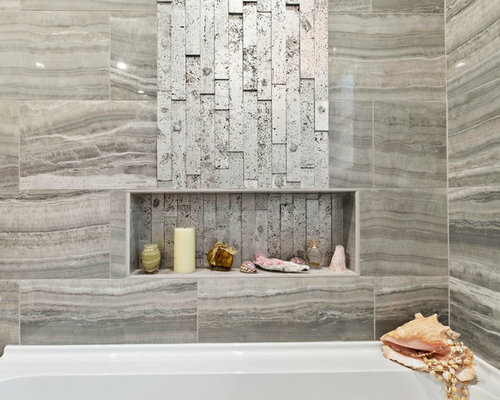 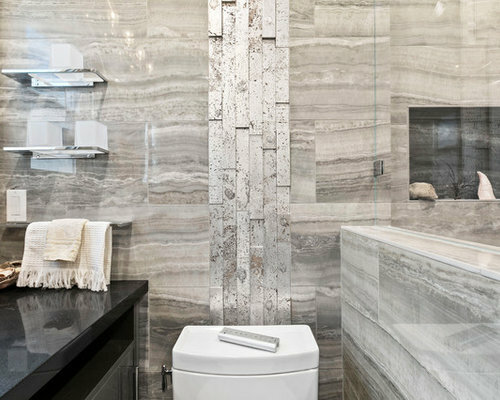 From the texture on the accent tiles to the pattern on the porcelain wall tiles that give the illusion of light reflections over water, all the tiles and finishes were carefully curated to give the bathroom a coastal look. 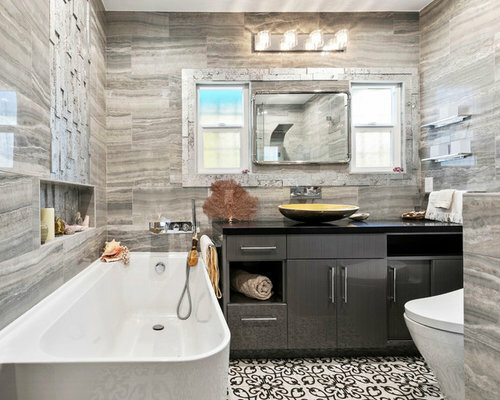 The pattern cement tiles and golden sink infused the space with personality by adding some color to the monochromatic gray palette. 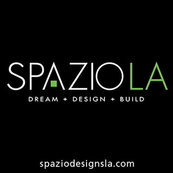 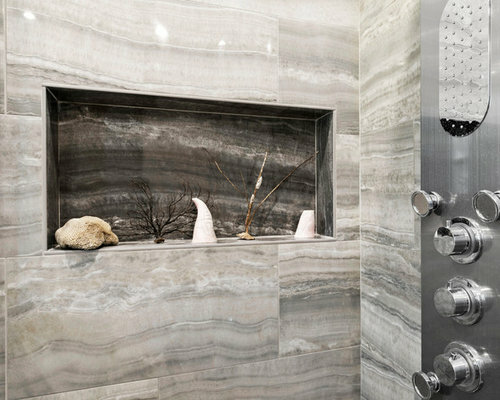 All tiles and quartz can be found at our showroom, Spazio LA Tile Gallery. 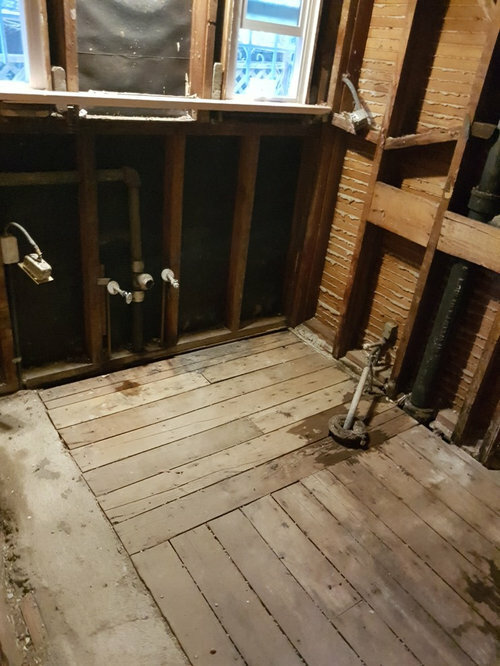 Scroll down to see the before and after photos. 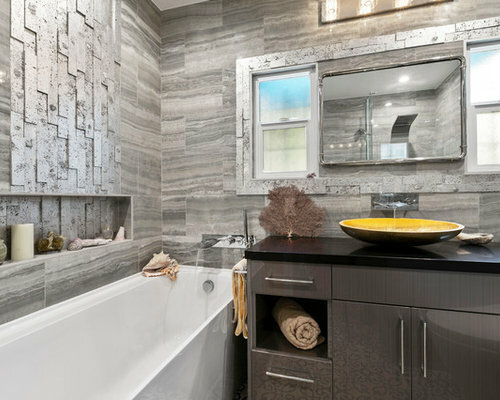 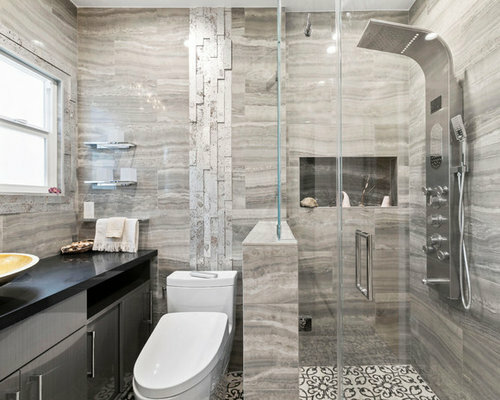 The master bathroom features a custom flat panel vanity with Caesarstone countertop, onyx look porcelain wall tiles, patterned cement floor tiles and a metallic look accent tile around the mirror, over the toilet and on the shampoo niche. 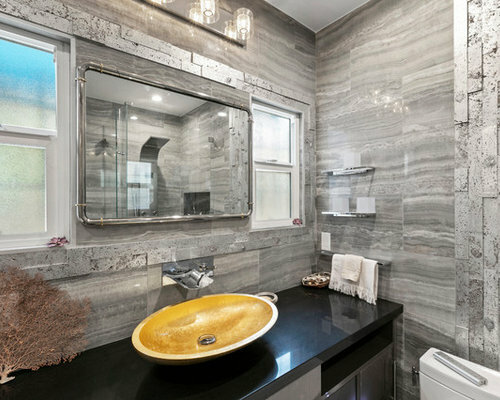 The master bathroom features a custom flat panel vanity with Caesarstone countertop, onyx look porcelain wall tiles, patterned cement floor tiles and a metallic look accent tile around the mirror, over the toilet and on the shampoo niche. 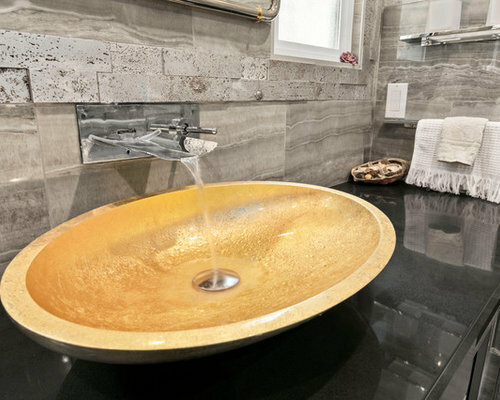 The golden sink creates a focal point while still matching the look of the bathroom. 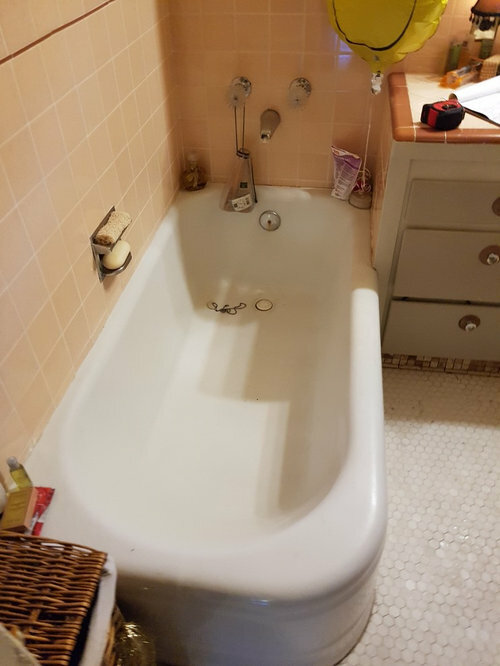 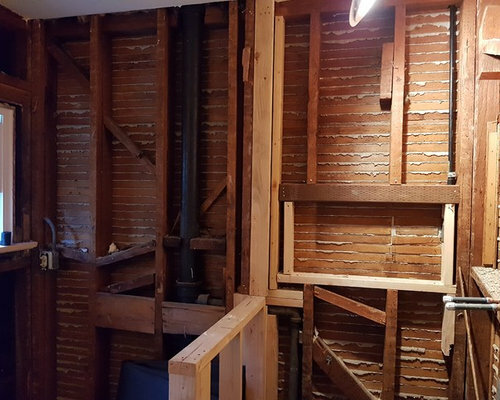 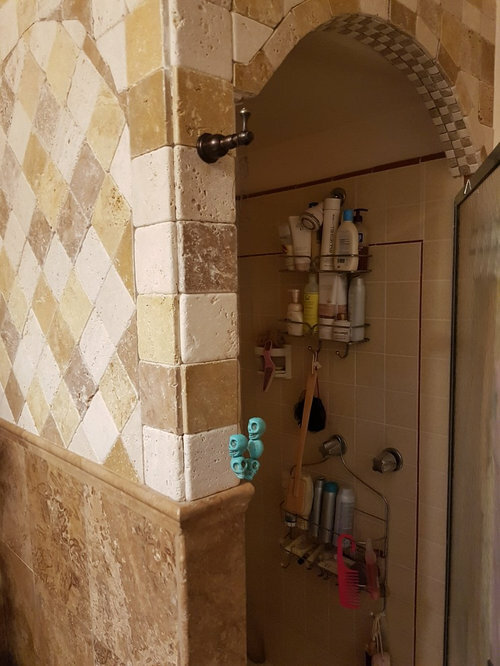 Before photo of shower area.